“Let’s eat, Grandma” not “Let’s eat grandma” ! 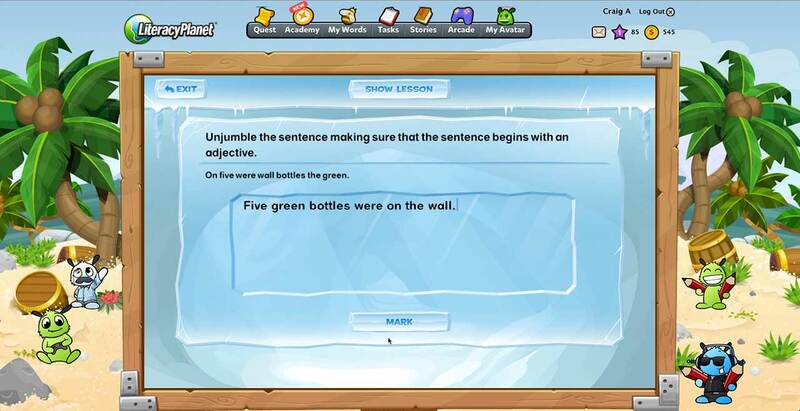 LiteracyPlanet's grammar content includes hundreds of exercises to cover all key concepts. Grammar is the set of rules that determines a language’s structure. It governs the composition of words, phrases and clauses, as well as syntax, the rules, principles and processes for the structure of word order in sentences such as the sequencing of subjects, verbs and objects, as well as punctuation, the marks that are used to separate sentences and their elements, and to clarify meaning. Grammar skills are a foundation for effective and clear communication, and a valuable tool for every aspect of life. Improper grammar and grammatical errors cause confusion and reflect poorly on the communicator. Correct punctuation for example is the difference between “Let’s eat grandma” and “Let’s eat, Grandma”! 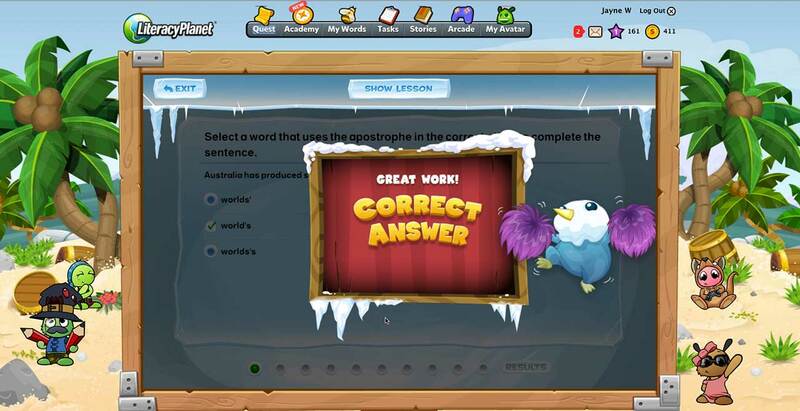 LiteracyPlanetʼs grammar content includes hundreds of exercises to develop strong grammar and punctuation skills from the early primary years through to senior schooling. Key concepts covered include: parts of speech, vocabulary, phrases, clauses, types of sentences, punctuation, and proofreading and editing. Students have the assistance of a grammar tip and examples in each exercise to help them understand what they are being asked to do, and also allow for a more independent learning experience. Copyright © LiteracyPlanet 2019. Intrepica and LiteracyPlanet are trademarks owned by Intrepica Pty Ltd (ABN 44 128 896 980).